Dreaming of an intimate holiday in southern Brittany? Welcome to your little corner of paradise, a haven of peace and quiet perfect for just the two of you, or for 3 holidaymakers thanks to its sofa-bed. 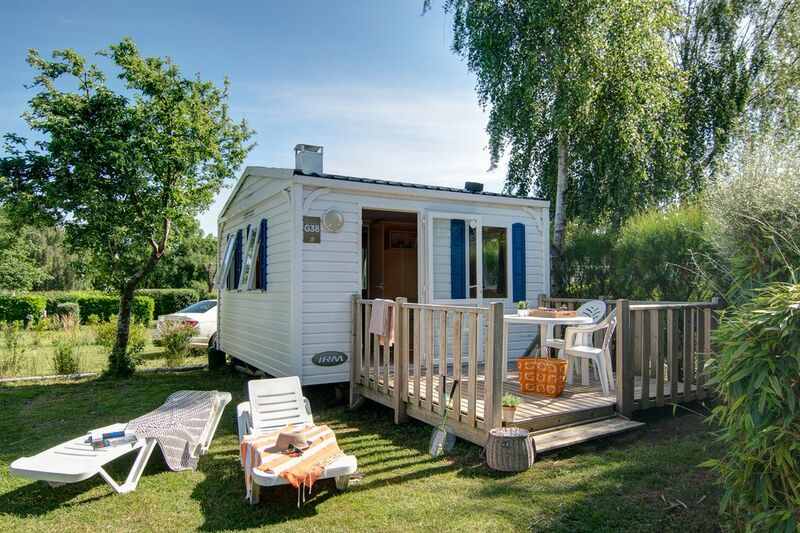 Inside, settle yourself comfortably in the elegant sitting area, try your hand at some of Brittany’s traditional dishes in the fully-equipped kitchen and snuggle down in the double bed for a restful night in the tranquillity of the campsite. In the morning you can look forward to enjoying a proper French breakfast on the outdoor terrace in the radiant sunshine of the Finistère.